New Model Music Player From Sony ! Sony is leading the technology in the peak with its innovative design of their products and features. In such a way, it has introduced a new IP Music Player. 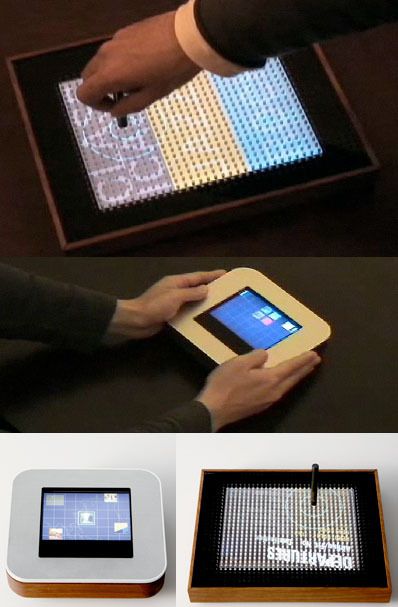 It is an interactive concept music player to offer tunes in a new way. In additional this player has a facility of touch control interface. The designers of the device are Eijiro Mori and Takuo Ikeda. This device features a small stick that can be inserted into the various spot of the player’s surface for generating the sound along with animations.